Nearly new 1,510 sq/ft home featuring 3 bedrooms, 2.5 baths and conveniently located in popular Woodhaven. Great curb appeal with premium stone on exterior, covered porch entering to large foyer. 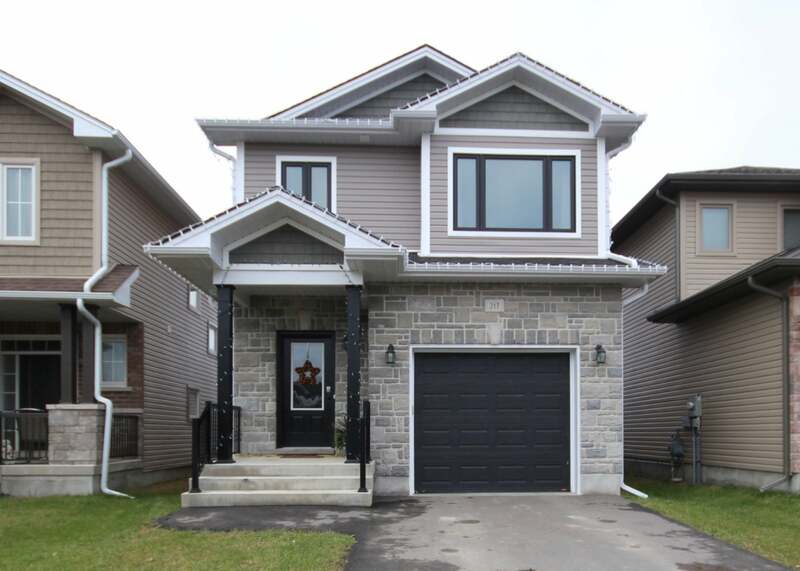 Main floor offers open concept design with beautiful large windows and vaulted ceiling in the living room adjacent the upgraded kitchen with centre island and extended breakfast bar, pot lighting, crown moulding, built-in pantry and under cabinet lighting. Dining area just off the kitchen with patio doors to partially covered rear deck, mostly fenced yard with beautiful landscaping and stamped concrete patio and walkway. Upstairs offers 3 bedrooms including large master with walk-in closet and 3-piece ensuite with stand-up shower. 2nd floor laundry with shelving. Basement ready for your finishing touches w/rough-in for future bathroom. One car attached garage w/opener. On-demand hot water system, central air, HRV & more! A great home just minutes to shopping, 401 and all west end amenities. Lot Size 29.86ft x 102.99ft Sq. Ft.